Nelda Carolyn “Sess” Steeley, 76, of Gardner, passed away October 7, 2016 at Olathe Medical Center. Visitation will begin at 10:00 am Tuesday, October 11, 2016 at Bruce Funeral Home, Gardner, KS 913-856-7111. Graveside Funeral Service will follow at 11:00 am Tuesday at Gardner Cemetery. Nelda was born November 22, 1939 to Bonnie Beatrice (Cox) and Orville Claude Sessums in Vernon, TX. She grew up in Odessa, TX and was a 1958 graduate of Odessa High School. She was a member of the Rainbows and played basketball and volleyball. She was a water treatment operator for Amoco Chemical Co. in Chocolate Bayou, TX. Nelda also worked as a waitress for many years. She lived in Oklahoma for many years and in 2012 she moved to Olathe to be near her family. She was a member of the Southern Baptist Church. She enjoyed fishing and gardening. Nelda raised goats and showed them at the Fair. Nelda loved spending time with her family. She will be dearly missed. Nelda’s family would like to thank the Medicalodge Staff for the loving care they gave Nelda. She was preceded in death by her parents and sister Patsy Diggs. 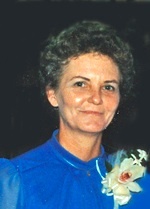 Nelda is survived by her daughters Tina Steeley of Atlanta, GA and Gina McCullough and husband Frank of Olathe; two grandchildren Travis and Emma; siblings Freddie Neel of Alvin, TX, Margie Goff of Baton Rouge, LA, Jerry Luttrell of Andrews, TX, Grady Sessums of Abilene, TX and Duane Sessums of Gallup, NM.